Before we provide you reviews of some best selling case fans, it's better to understand what a case fan is?How does it work? And do your system need it? A case fan is just like a fan that is installed in your system which prevents your system from overheating.Case fans are also called computer fans.Basically, inside your processor, a certain required range of temperature is to be maintained. 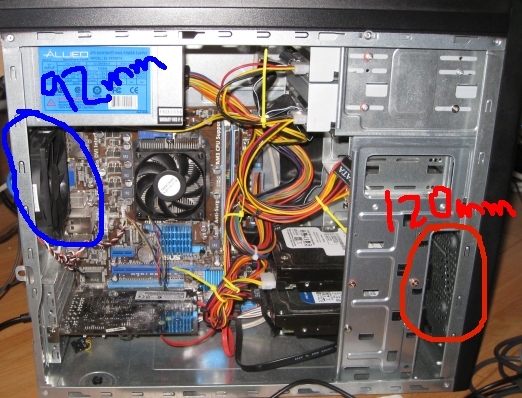 So, when you work over your system, the power and speed consumption, heats up your processor.And here comes the role of Case fans, it absorbed all the heat generated in your processors and threw it away in the surroundings.Also, it blew cooler air from surroundings onto your processor. This maintains the cooling inside your processor.Now you all might be wondering do your processor needs any case fans? When you continuously work over your system, due to power consumption, it too attains the condition of fever. This fever is nothing but the overheating of your processor.And an overheated processor is the basic for malfunctioning of your system.It has various side effects over your system.This leads to damaging of your processor, affects its stability and reduces the lifespan of your system.So, this is why your system needs a case fan. 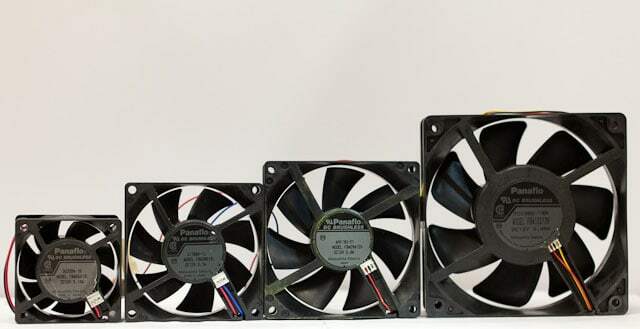 Case fans are usually square shaped fans.Beside this, round shaped case fans are also used.The breadth of the square once whereas the diameter of round ones are always expressed in millimeters(mm).Case fans are available in 40mm,60mm,80mm,92mm,120mm, 140mm (these are the most common).Beside this,8mm,20mm,25mm,35mm,45mm, 70mm,250mm,360mm, and many more sizes are available.Amongst these, all 120mm and 140mm are two, most commonly used in computers. As by now, case fans are the most important component for cooling purposes, nowadays, these are available in multi-color options, decorative grills and also lit by LEDs, to give an attractive look. Case fans are widely used for a variety of purposes.It is used in Case Mounts.In this, case fans are used to aerate the case of the computer.Case fans blew cooler air inside and threw heat away from it.Case fans hold its very important use in the CPUs.In CPU, it allows maintaining a certain range of temperature that avoids overheating of components.Beside this, it is used in graphics card fans, chipsets fans. 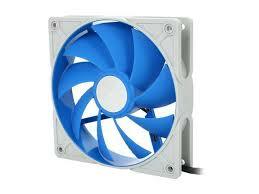 Nowadays,different-different types of case fans are available. We'll now tell you some of the common features regarding it and its meaning.At first, it is Anti-Stall Knob designed blades-this improves the airflow inside your processor and reduces the noise level.Next, we have sleeve bearing, and SS02 bearing type-this helps your case fan to show long-lasting stability and durability.So, which one you should choose? Look, there are numerous no. of case fans available in the market.It varies largely upon their prices and properties.So it becomes very very important for you to look and search for an ideal case fan, according to your requirements. 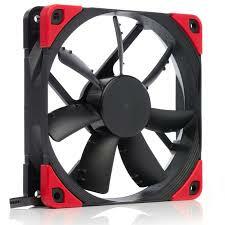 So, what are the factors and parameters one should look for, before purchasing a case fan? Different types of computers needs can be fulfilled with different types of case fans. 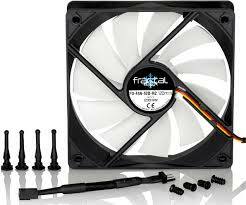 Here, in this section, we'll be reviewing some of the best and top selling '120mm Case Fans'.Besidethis,we'll be reviewing case fans based on its power,noise output(dB),cooling properties(CFM),cosmetic attributes,speed,air flow,etc..So, select a perfect product from the following that meets up your needs. Arctic has been a top brand for years in this sector.Arctic Cooling is the manufacturer of various cooling solutions, includes case Fans, thermal compounds, etc.The company was founded in the year 2001.It is a German-based company but has its major market at U.S, Hongkong, and U.K.And this time, we're going to review its 'ARCTIC F12 PWM Rev. 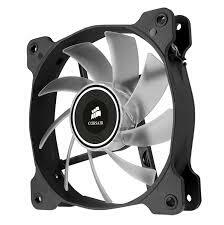 2 120 mm Case Fan'. ARCTIC F12 delivers a great performance with the very low noise level. 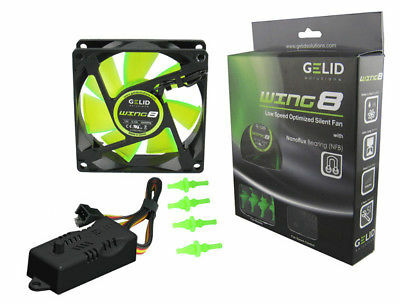 It is a 4pin PWM fan with an innovative design of the blades.Its PWM function allows it to run at necessary speed.This speed is regulated by system's motherboard.It maintains the cooling inside your processor as required and also reduces the noise level.Its blades are designed in such a way that improves the airflow and provides excellent ventilation. The design of impeller minimizes sound but still provides a desired airflow and pressure. ARCTIC F12 can be installed in two different ways, either throwing hot air outside or blowing cool air inside.Talking about its specifications, ARCTIC F12 has dimensions 120mm x120mm x 20mm.The blades run at the speed of 600-1350revolutions per minute(RPM). It shows extremely low noise level of 0.3sone(for 1350RPM).Beside this, it has an airflow of 74CFM(for 1350RPM).Talking about contents, the fan is 105(gm by weight) and comes with the cable of length 400.0mm. Final words for ARCTIC F12; a very good option highly durable due to the fluid dynamic bearing.Its effective ventilation, innovative designs, and long life service makes it a top list case fan. Cooler Master is the manufacturer of various computer components, especially cooling solutions.The company manufactures case fans, thermal pastes, cooling pads,etc..Cooler Master is a Taiwan-based company which was founded in the year 1992. When it comes to cooling solutions, Cooler Master's name is taken as a top leading brand. And this time, we're reviewing its case fan 'SickleFlow. 'CoolerMasterSickleFlow is a 120mm Case Fan, considered suitable for computer cases, CPU cooler and cooling water radiator. Its Smart Fan Engine, in case of any blockage shuts off the fan automatically, preventing from getting damaged, and also restarts again when blockage being cleared.Its sleeve bearing fan quality gives it a fantastic durability of about 50,000 hrs.Looking at its specs, the case fan has dimensioned 120mm x 120mm x 25mm. 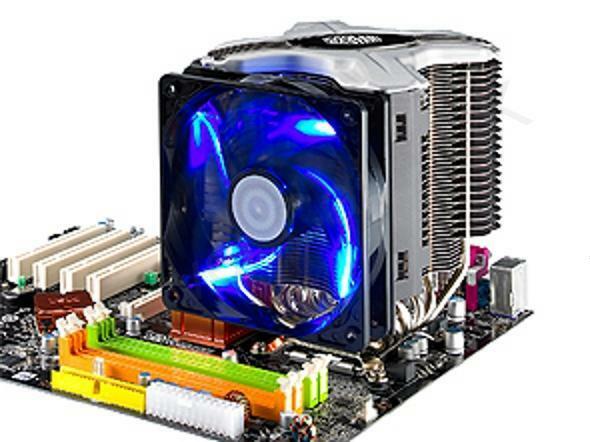 It provides a strong air ventilation, gives your processor a cool atmosphere.A very interesting feature for SickleFlow is its LED effect.The case fan gets lit by LEDs light, which gives a good and creative look to the transparent blades.Users are provided with the option of red, green and blue LED lights. The fan blades operate with the speed of about 2000RPM. SickleFlow provides your processor an air pressure of 2.94 mm H2O.It has a very low noise level of 19(dBA) that keeps silence when it runs. Finally, concluding for SickleFlow; it gives your processor very high performance, long-term durability, and effective cooling.And if you're in search of a decorative or creative case fan, you'll hardly find a better option than this. Antec Inc. is the manufacturer of various and different computer accessories.It produces many cooling components, cases, headphones, charging hubs,etc..The company was formulated in the year 1986 and is an American-based brand. It is a quite experienced company, so there remains no question on the brand.The company also produces case fans, and for this time we're going to review its ' AntecTrueQuiet 120mm'. 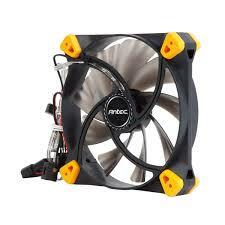 AntecTrueQuiet is a 120mm case fan that minimizes the sound and maximizes the airflow.It comes with nine low-turbulence fan blades which reduce the noise. The blades are surrounded by rubbered corners which limits the vibration, during its working.Talking about its looks, AntecTrueQuiet is available in red, green, blue and white LEDs options.Users are also provided with a warranty of two years on its parts.Itstoolless mounting pins makes its installation quicker and easier.The fan is 138.9(gm) in weight and has dimensions 120 x 120 x 25(mm). Coming over its technical details; the fans operate at a minimum speed of 600RPM and a maximum of 1000RPM.Also, it works on a low noise level of 19.9(dBA).Beside this, fans provide effective cooling with airflow of about 35.8 CFM. Looking over its overall performance and details; a great brand shows high performance, glowing colored rings, low noise level and greater stability makes AntecTrueQuiet a great option for the buyers. Corsair Components is an American based company which was founded in the year 1994.The company manufactures various computer hardware and peripherals.It includes cooling components like case fans, thermal compounds, and accessories like speakers, computer cases,etc.. The company always tend to improvise its products constantly.And, it's now the time to test its case fan ' Corsair Air Series AF120 '.It is a 120mm LED lighted case fan designed to deliver outstanding results with silent operation. The case Fan has specially designed custom-molded blades for maximum heat dissipation with minimum noise level and turbulence.Due to its frosted texture, the blades display an attractive effect, when listed by LEDs light.Corsair Air Series AF120 can be installed or mounted at the rear or top position of your's computer case, as CPU, motherboard, and graphics accelerators get heats up more often. It has a sleeved bearing system which limits the vibrations during its working that also gives it a long-lasting durability.AF120 delivers optimal cooling and better performance than standard case fans.The company manufactures AF120 in a single as well as a dual pack. Checking about it details; the fans exhibit a noise level of 25.2(dBA) and airflow of 52.19 CFM.Also, it operates and runs at a speed of 1500 RPM. So, its LED effect, optimal cooling, high performance and a trusted brand makes Corsair AF120; another good option for the buyers. Rosewill Inc. is the manufacturer of various reliable and high technological products.The company is an American based brand and was founded in the year 2004.It produces computer cases, keyboards, cables and cooling products.Rosewill has been continuously manufacturing innovative products. 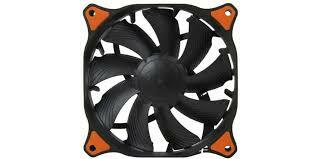 This time we're here to test its cooling product 'Rosewill ROCF-13001 Cooler Fan'. 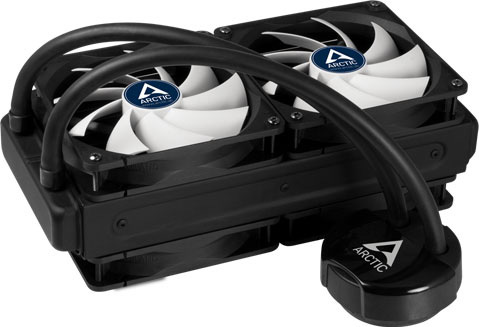 It is a 120mm case fan and appears black.ROCF-13001 case fan is available in four units to pack.It is a seven-bladed fan that keeps your processor's heat far away.It has 3pin circuit connector to connect to the motherboard and also an LP4 connector to connect with case power supply. It features sleeve bearing quality that enhances its durability and reliability, thus, making its application hassle-free for many years.Seeing ROCF-13001 specifications; the product comes with a tagline of Super Silent, having a noise level of 22(dBA).The fans rotate with a speed of 1200RPM. It provides cooling to your processor with airflow of 38.2CFM. Overall, you must think for this product, if you are in search of a 7-bladed and 4 unit pack.Its super silence feature, dual connectivity, effective airflow and long lasting durability makes it a great product. Noctua is the manufacturer of computer components like CPU coolers and case fans. Noctua is one of the most trusted brands when it comes to the cooling sector.Andits time to have a look over 'Noctua NF-S12A'.It is a 120mm case fan, brown.The case fan had received more than 250 awards and recommendations in the international press. The fan blades are Anti-Stall Knob designed with the new Advanced Acoustic Optimization(AAO) which improvises its airflow and noise level up to 8%.Its PWM feature automatically regulates the fan speed and prevents the other components from damage.Its AAO feature limits the vibration of fans and its unique stepped inlet design, and inner surface microstructure improvises fan's speed and noise. In the latest version, its Smooth Communication Drive System helps in removing torque, making it function smoothly.Its better stabilization and long-term durability are due to the SS02 bearing.Coming over its technical data; Noctua-NF-S12A has a noise level range of 10.7(dBA) to 17.8(dBA). The blades operate and run with a minimum speed of 300 RPM and a maximum of 1200 RPM.The fan cools the processor with airflow of 107,5 m³/h.Users are also provided with a 6-year warranty. Conclusion; Noctua has done a superb job with its NF-S12A.Its straight blade design, AAO and SS02 bearing feature and premium quality, surely makes it far better option than other typical fans. 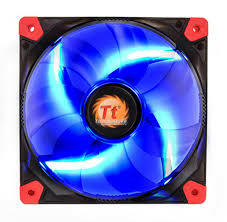 users have three different color options, either to opt for red, white or blue LEDs.While running, its transparent and precisely designed fan blades listed by LED gives a stylish and effective view of your PC case.Its rubber pads mounting system, make the fan vibration free.This also increases its stability and durability.It has large opening frame than a typical fan. 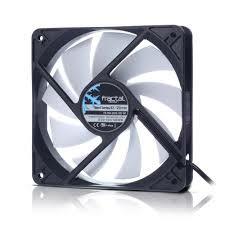 This enhances the airflow almost by 60%.Luna Series is a 15mm thick fan that can easily be mounted on the ultra thick radiator of your computer's case(which a 25mm fan can't do).Also, its hydraulic bearing gives it a friction-free property that reduces the sound level and improves efficiency.Its seal cap prevents leaking of lubricant, hence increases fan's lifespan. Talking about its technical details; CL-F009-PL12BU-A operates on an extremely low sound level of 20.7(dBA).Moreover, the blades rotate with the maximum fan speed of 1200RPM.Its enhanced opening frame gives the airflow of 50.44CFM to your processor. Final words for Luna CL-F009-PL12BU-A; a high-quality product from Thermaltake.Its ultra slim thickness(15mm) makes it different from other case fans.High performance, last long stability, optimizing cooling makes it a top-ranked product. COUGAR is a leading brand of various computer components, cooling products and hardware.It was founded in the year 2008.COUGAR comes with a tagline 'Real Gear for Real Gamers. 'The company aims to deliver the best to their respective consumers. its blades are Diversion Groove designed that strongly focus the airflow over the area without getting dispersed.This lead to optimal cooling very easy and effectively.The fan also is Aero-Dynamically designed that makes fan running smooth and results in reducing noisy air turbulence. It shows Hydro-Dynamic Bearing technology that gives it a superb durability.Talking about Vortex PWM 120mm (CF-V12HPB) Specifications; the fan operates with a minimum speed of 800RPM and a maximum of 1500RPM.The cooling takes place with airflow of 70.5 CFM.And, its noise level is limited to 17.9(dB). Besides this, users get 400mm of cable length with a case fan. So, COUGAR has again impressed with its high quality and technical product.It delivers high cooling performance to your processor with some great features.So, you must think and prefer to this. Deepcool is a leading manufacturer of various computer accessories and cooling products.It is Chinese based company but has its market in all major countries.The brand was founded in the year 1996.So, that's quite clear it's not a new entry in this sector. The professional team of Deepcool always focuses on designs of the products.For this time we have its 'UF 120 PWM Case fan'.The fan is blue with white frame and seems very attractive.It is a nine-bladed 120mm fan that keeps away your overheating concern. Its aero-dynamical blades give your processor an excellent airflow.Besides this, its dual ball bearing gives it a long-term stability and smooth performance.Talking about it frame, it is covered with TPE elastic material that gives it strength and also absorbs vibrations, during its working.All these features lead to silent operation of the fan. it has sound level range 17.6 -27.8(dB).The cooling is done with max. Airflow of 66.3CFM. So, Deepcool's UF 120 is a great buy for the buyers.It has an attractive look, strength, and great performance.Its 2-Ball Bearing Rubber Coating and De-vibration Deep Silent property make it a quality product. Fractal Design is a famous brand from Sweden.It manufacturers various computer hardware and cooling products.The brand was formulated in the year 2007.Its all products are made and designed in Sweden.In last few years, the company has won many awards in the hardware sector.FractalDesign produces various case fans of sizes 40mm-140mm.And its time we are going to review ' Fractal Design Silent Series R2 Case Fan'. It is a 120mm case fan that delivers significant airflow with the very low noise level.The fan blades are white with a black colored frame which gives an attractive view. The fans are the hydraulic bearing type which makes fan very much reliable and also enhances its performance. It comes with low-speed adaptor whose feature is to provide two different rotation speed without using any additional fan controller(regulator). Silent Series R2 is mounted with both metal screws as well as rubber screws that give it a rigid installation.Rubber screws allow mechanical decoupling from the PC'S case itself. The fan comes with sleeved cables that enhance aesthetic and makes cable routing easy.Talking about fan's specifications; fan blades operate within the speed range of 850RPM-1200RPM. It has a 25mm thickness and registers the 113.3gm weight.Beside this, cooling takes place with a maximum airflow of 40.6CFM.The fans work with a sound level of 12-15(dBA). 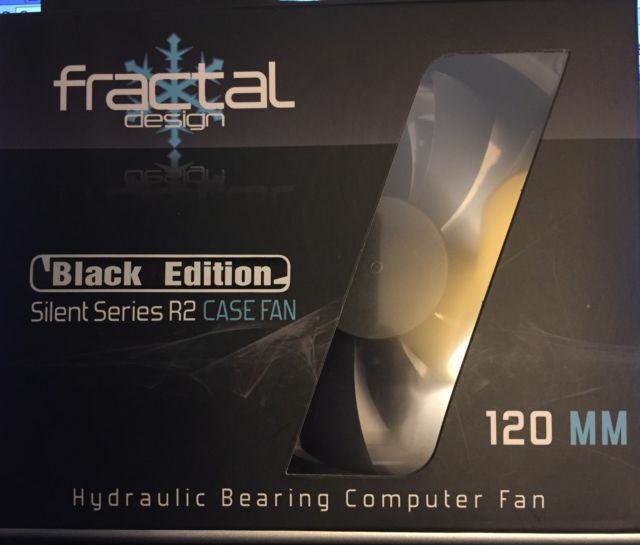 Overall; Fractal's Silent Series R2 case fan is another quality product that gives your processor optimize and significant cooling at the very low noise level. Buyers must search and think about this product before having a buy. Gelid Solution Ltd. Is a leading manufacturer and designer company of various CPU and VGA coolers, thermal products, accessories, etc.The brand was founded in the year 2008.The company is based in Hongkong.Gelid solutions name is taken at peak when it comes to cooling products. It produces various case fans, but we're now going to review its 'FN-PX12-15'.It is a 120mm seven-bladed case fan designed for advanced users.It is again a PWM featured fan which regulates fan speed on its own, as per CPU's need.In the fan's PCB, a special IC is added to exploit mainboard's BIOS software. The fan is mounted by rubber pads that limit the vibrations and makes the fan more durable and stable.It is a hydrodynamic bearing type fan that greatly enhances its performance and makes reliable. Looking over its technical details and specifications; the heat dissipation takes place with airflow of 58CFM.Moreover, it has fan speed range of 750-1500RPM.Its super silent feature has a very low noise level range of 12.0-25.5(dBA). Overall, Gelid Solutions trust and its precisely designed blades, make it a top-class case fan.With unique features, low noise level, and max. Airflow gives another great option for the buyers.